Yoko Ma-tcha. Merely saying or shouting the word will make you feel good. And given its antioxidant, fat-burning, relaxing and immunity-boosting qualities, drinking it will make you feel even better! Lots of health benefits, ranging from high vitamin content to preventing fatigue and reducing allergic reactions. Matcha’s history deserves a few words: though considered as a Japanese plant, matcha’s story began in 10th century China, where it was reserved for the Emperors of the Song dynasty because of its awesomeness. The Emperor was like ‘don’t touch my awesome matcha, you peasants’ and people obeyed for fear of losing a limb or two. Two centuries later, it came to Japan where Buddhist monks and samurais considered it as a panacea that makes you live longer and helps you meditate. To this day, Japanese people are still very fond of matcha and drink it ceremoniously. Anyway, matcha is special: like other ‘shadow teas’, it’s protected from sunrays for 30 days before being harvested, then gets grinded and whipped (yes, whipped! – how cool is that?). 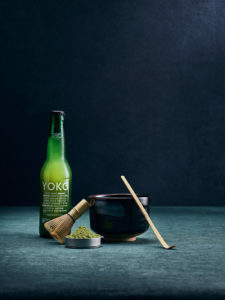 This means that Yoko Matcha is not infused – or brewed, as the Brits say – but actually mixed with pristine spring water and unrefined cane sugar before being bottled and bought by you, because you have great taste and you know what’s good for you. 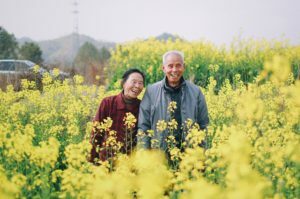 We did not just believe in this tradition simply through word-of-mouth, and therefore, we prepared a comprehensive list of laboratory tests that have confirmed its health properties: high levels of catechins show strong antioxidant activity, accelerate metabolism, and delay aging. 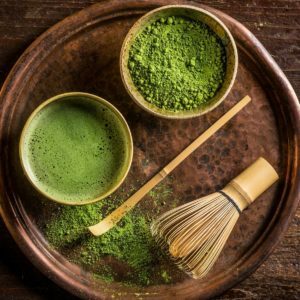 Natural caffeine is released more slowly from matcha leaves than from coffee beans, it works more smoothly and longer, helping overcome fatigue without over-stimulation.